This project was difficult. To be honest, I was not looking forward to it. I know I need some sort of electricity at all times. I quickly realized that I am addicted to checking my phone. I realized this when I turned off my cell phone and would subconsciously press the home button and my thumb automatically went for the spot where my Instagram app would be. Get down on myself because I see all these beautiful girls all over my feed. By not being on my phone it eliminated that stress. I was also more relaxed because I did not have to worry about texting/calling/e-mailing people back. It is crazy to think about how we take a light bulb for granted. Luckily, I have a bunch of candles but of course they’re not as convenient. 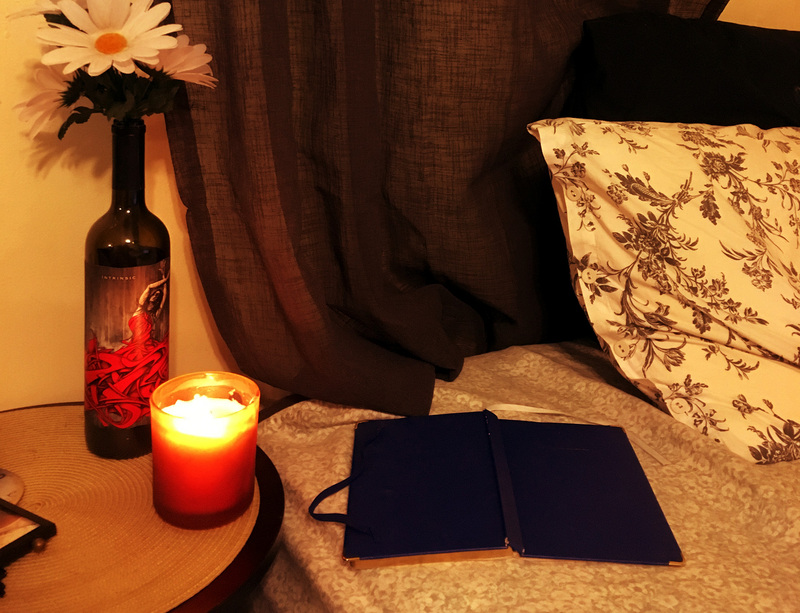 But at the same time it was peaceful just reading with candles. I feel like I got in touch within myself more than I would have if I was just texting the night away. We are so overstimulated that we can’t focus on ourselves. I feel that by taking a day or a night off from all the crazy distractions of the world we can all be more at peace!